Serene and peaceful. This immaculate 4 bedroom/3 bathroom home has a true Montana feel. The home has been used successfully as an Airbnb. 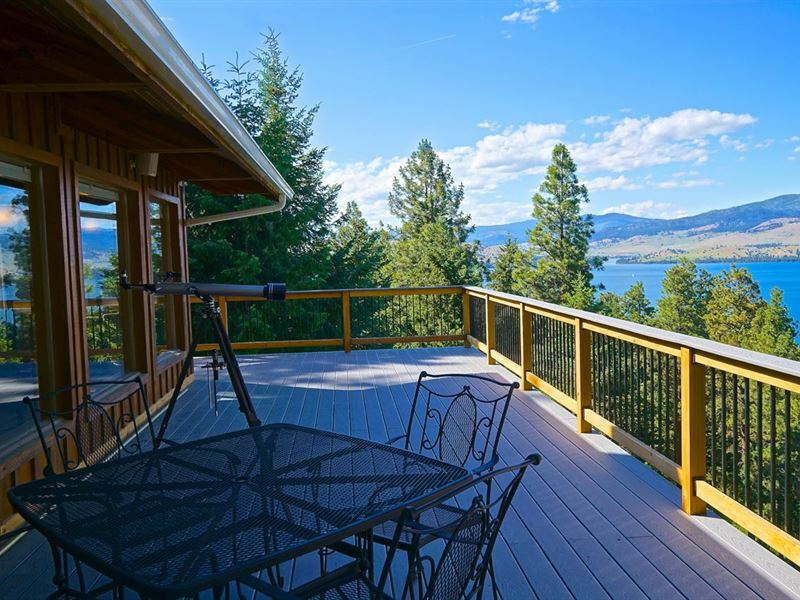 Sitting on 2.16 acres of wooded privacy, the decks boast their attractive wood and iron railings, while taking in the huge views of Flathead Lake and the Mission Mountains. The wood clad exterior and interior wrapping you in the comfortable cozy feeling only natural wood provides. Fireplaces, master and guest rooms on both main and lower floors. Lower level has its own entrance, and thus lending itself well to guest use. Featuring a brass-lined fireplace, while the main floor has newly refinished oak flooring. No Hoa, dues, or covenants, just your own piece of Montana heaven.